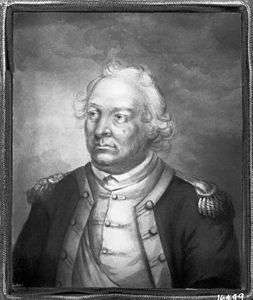 Israel Putnam (January 7, 1718 – May 29, 1790) was an American army general officer, popularly known as Old Put, who fought with distinction at the Battle of Bunker Hill (1775) during the American Revolutionary War (1775–1783). His reckless courage and fighting spirit became known far beyond Connecticut's borders through the circulation of folk legends in the American colonies and states celebrating his exploits. He had previously served notably as an officer with Rogers' Rangers during the French and Indian War, when he was captured by Mohawk warriors. 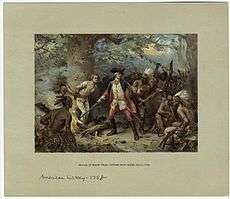 He was saved from the ritual burning given to enemies by intervention of a French officer, with whom the Mohawk were allied. 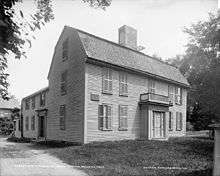 Israel Putnam's birthplace, Danvers, Massachusetts, USA. The house still stands and is owned by the Danvers Historical Society. Israel Putnam was born in 1718 in Salem Village (now Danvers), Massachusetts to Joseph and Elizabeth (Porter) Putnam, a prosperous farming Puritan family. His parents opposed the Salem witch trials. With his father-in-law Israel Porter, Joseph Putnam signed the petition on the behalf of the elderly Rebecca Nurse, accused of witchcraft, but the jury overturned its first verdict of innocent, convicting her and sentencing her to death. One of her sisters was also executed in the hysteria of the time. Putnam married twice, first to Hannah Pope in 1739, the mother of his children. Two years after her death in 1765, he married Deborah Lothrop. In 1740 at the age of 22, the young Putnam moved west to Mortlake (in a part now Pomfret in northeastern Connecticut), where land was cheaper and easier for young men to buy. According to oral tradition, Putnam killed the last wolf in Connecticut in 1743 with the help of a group of farmers from Mortlake seeking to safeguard their sheep. The tradition describes Putnam crawling into a den with a torch, a musket, and his feet secured with rope, in order to be quickly pulled out. While in the den, he allegedly killed the she-wolf. A section of the Mashamoquet Brook State Park including the "den" in modern-day Pomfret is named "Wolf Den". The name "Wolf Den Road" in adjacent Brooklyn, Connecticut also attests to the days of wolves. Putnam took part in the French and Indian War as a member of Rogers' Rangers, and later led a similar company of rangers from Connecticut. He was promoted to captain in 1756 and to major in 1758. In 1757, the Rangers were stationed on an island off Fort Edward. The following February, Putnam and his Rangers were still on Roger's Island when fire broke out in the row of barracks nearest the magazine. The danger of an explosion was imminent, but Putnam took a position on the roof and poured bucket after bucket of water upon the flames, only descending when the buildings fell only a few feet from the magazine. In spite of his severe wounds, he continued to fight the fire, dashing water upon the magazine until the fire was under control. He was laid up for a month due to burns and exposure. Putnam was captured on August 8, 1758 by the Kahnawake (Mohawk) Indians from a mission settlement south of Montreal during a military campaign near Crown Point in New York. He was saved from being ritually burned alive by a rain storm and the last-minute intervention of a French officer. In 1759, Putnam led a regiment into The Valley of Death in the attack on Fort Carillon; and, in 1760, he was with the British army that marched on Montreal. In 1762, he survived a shipwreck during the British expedition against Cuba that led to the capture of Havana. Major Putnam is believed to have brought back Cuban tobacco seeds to New England, which he planted in the Hartford area. This reportedly resulted in the development of the renowned Connecticut Wrapper. In 1763 during Pontiac's Rebellion, Putnam was sent with reinforcements to relieve Pontiac's siege of Fort Detroit. He returned to Brooklyn, Connecticut to settle. Putnam publicly professed his Christian faith following the Seven Years' War in 1765, and joined the Congregational Church in his town. He was among those who objected to British taxation policies. For instance, around the time of the Stamp Act crisis in 1766, he was elected to the Connecticut General Assembly and was one of the founders of the state's chapter of the Sons of Liberty. In the fall of 1765, he threatened Thomas Fitch over this issue, the popularly elected Connecticut Governor. He said that Fitch's house "will be leveled with the dust in five minutes" if Fitch did not turn over the stamp tax paper to the Sons of Liberty. By the eve of the Revolution, Putnam had become a relatively prosperous farmer and tavern keeper, with more than a local reputation for his previous exploits. 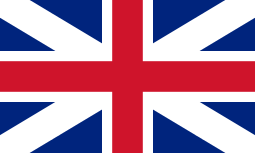 On April 20, 1775, he received news of the Battles of Lexington and Concord that started the war the day before. He left his plow in the field and rode 100 miles (160 km) in eight hours, reaching Cambridge the next day and offering his services to the patriot cause. Putnam was named major general, making him second in rank to General Artemas Ward in the Army of Observation, which preceded the founding of the Continental Army. He was one of the primary figures at the Battle of Bunker Hill, both in its planning and on the battlefield. During that battle, Putnam may have ordered William Prescott to tell his troops, "Don't fire until you see the whites of their eyes." (It is debated exactly who said these words first; they are attributed to a number of officers.) 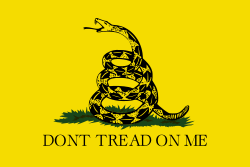 This command has since become one of the American Revolution's notable quotations. It was given to make the best use of the low ammunition stocks that the troops had. Putnam joined the Continental Army when it was organized in July 1775; he was commissioned as colonel of the 3rd Connecticut Regiment, and later became brigadier of the Connecticut militia. The Battle of Bunker Hill is considered to be one of the greatest achievements in Putnam's life. However, years after the battle, the deceased Putnam was accused by Henry Dearborn of failing to supply reinforcements and of cowardice during the battle, which sparked a nationwide and long-lasting controversy among veterans, family, friends, and historians. After Bunker Hill, Putnam was put in charge of a small group of about 300 men at the Washington Crossing. Putnam progressed to temporary command of the American forces in New York, while waiting for the arrival of commander-in-chief Lieutenant General George Washington on April 13, 1776. Putnam's fortunes declined at the Battle of Long Island in August 1776, where he was forced to effect a hasty retreat from the British. Washington did not blame Putnam for this failure, as some did in the Second Continental Congress. But Washington reassessed the abilities of his general and assigned him to recruiting activities. In 1777, Putnam received another, though lesser, military command in the Hudson Highlands, where his headquarters were at the Bush-Lyon Homestead. With future Vice-President Aaron Burr in his charge, Putnam was fooled in October 1777 by a feint executed by British troops under the command of General Sir Henry Clinton, making way for Clinton's capture of Fort Montgomery and Fort Clinton. Putnam was relieved of command and brought before a court of inquiry for these losses, where it was ascertained that the events in question were the result of lack of men, not of the fault of any commander, and he was exonerated of any wrongdoing. On February 26, 1779, Putnam escaped from the British, riding down a steep slope in Greenwich, Connecticut for which he became famous. A statue commemorating this escape was erected at Putnam Memorial State Park in Redding, Connecticut. Anna Hyatt Huntington, a local sculptor, created the bronze statue in 1969. During the winter of 1778–1779, Putnam and his troops were encamped at the site now preserved as the Putnam Memorial State Park in Redding. In December 1779, Putnam suffered a paralyzing stroke, which ended his military service. Putnam died in Brooklyn, Connecticut in 1790. He was buried in an above-ground tomb in the town's South Cemetery. He is honored with an equestrian monument at his burial site on Canterbury Road (Route 169). Over the years, souvenir hunters removed fragments of the headstone of his tomb and eventually, the overall condition of the tomb was deemed unsuitable for General Putnam's remains. Sculptor Karl Gerhardt, who designed the nearby Soldiers’ and Sailors’ Monument as well as Civil War monuments in New York and New Jersey, was chosen to create a monument to house Putnam’s remains. Putnam was placed in a sarcophagus in the base, and the original headstone inscription was recreated on the monument. Within a few years, so many people visited Putnam's tomb that the marble marker became badly mutilated from souvenir chippers; it was removed for safe keeping to the Connecticut State Capitol in Hartford. In 1888, Putnam's remains were removed from the Brooklyn cemetery and reinterred in a sarcophagus built into the foundation of a monument in his memory, newly erected on a plot of ground near the Brooklyn town green. Putnam's birthplace of Putnam House in Danvers, Massachusetts has been designated and preserved as a historic structure. His Connecticut farmhouse still stands and is listed on the National Register of Historic Places. A statue memorializing Putnam stands in Hartford's Bushnell Park, near the Connecticut State Capitol. It was sculpted by John Quincy Adams Ward in 1873 and presented to the city in 1874. In the early days of the war, Putnam was regarded by Washington as one of America's most valuable military assets. During the Revolution, however, Putnam led more strategic defeats than offensive victories and was known chiefly for his reckless courage. Numerous places bear his name, including nine counties, starting with Putnam County, New York, which embraces the east bank of the Hudson Highlands that he once held command over. Towns in New York and Connecticut were also named for him. Putnam County, Ohio, an area created in 1820 and organized in 1834, opened up from the Great Black Swamp in NW Ohio. Israel Putnam Refectory, a dining hall at the University of Connecticut. East Putnam Avenue in Greenwich, Connecticut, named for his path of retreat from the British. Putnam's cottage, an eighteenth-century residence that may have served as a tavern at the time of his escape, located on East Putnam Avenue in Greenwich. Putnam Memorial State Park, the oldest state park in Connecticut. Putnam Pantry, a traditional ice cream parlor and candy store (on site confectionery) in the shape of a colonial saltbox house located on Rt 1 North in his birthplace of Danvers, MA. Putnam Place, in the Bronx, New York, stands among other local neighborhood streets named for Revolutionary (and War of 1812) figures. Putnam Russet Apple. Putnam had a very successful farm in Brooklyn, Connecticut which was known for its apples and sheep. The farmhouse at Putnam Farm still stands, and the Putnam Russet apple is still grown by farmers of heirloom varieties. Putnam has been featured in numerous biographies and works of fiction, including an 1876 biography by Increase N. Tarbox, a historian, theologian, and author. Descendant John Day Putnam became a member of the Wisconsin State Assembly. Israel Putnam appears as an important character in action-adventure video game Assassin's Creed III. "Isreal Putnam - Sons of the American Revolution, Connecticut | Bragg, Fanny Greye". connecticutsar.org. Retrieved 16 August 2015. McCullough, David (2005). 1776. New York, NY: Simon & Schuster. ISBN 978-0-7432-2671-4. Parkman, Francis (1922). Montcalm and Wolfe, Vol. 1. Googlebooks. Little Brown & Co.
Tarbox, Increase N. (1876). 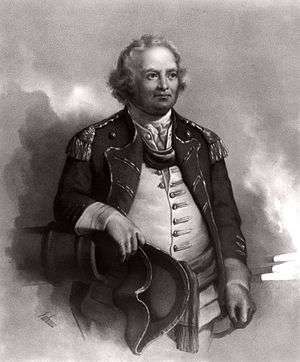 Life of Israel Putnam ("Old Put"): Major-general in the Continental Army. , Lockwood, Brooks. Mark, Steven Paul. "Too Little Too Late: Battle Of The Hudson Highlands". Journal Of The American Revolution. Retrieved 20 November 2013. ↑ Root, A.B. (editor), Mary Philotheta (1901). Chapter Sketches, Connecticut Daughters of the American Revolution: Patron Saints. Connecticut Daughters of the American Revolution. p. 127. Retrieved 23 January 2016. ↑ White, Carl. "All "Downhill" For General Israel Putnam (Literally and Figuratively)". Greenwich Library website. Retrieved 5 December 2011. ↑ "History of Redding website" (PDF). historyofredding.com. Retrieved 16 August 2015. ↑ "Hartford War Monuments - REVOLUTIONARY WAR - ISRAEL PUTNAM". Hartford Preservation Alliance, Hartford War Monuments. Hartford Preservation Alliance. Retrieved 23 January 2016. ↑ Team, The Untappd. "Black Pond Brews". Untappd. Retrieved 2015-12-24. ↑ THE BLUE BOOK OF THE STATE OF WISCONSIN. 1883. p. 501. "Heroic America – James Daugherty's Mural Drawings from the 1930s"
Tarbox, Increase Niles (1876). Life of Israel Putnam. Lockwood, Brooks & Company, Boston. Fiske, John (1900). "Putnam, Israel". Appletons' Cyclopædia of American Biography. "Putnam, Israel". New International Encyclopedia. 1905. "Putnam, Israel". Encyclopædia Britannica (11th ed.). 1911. "Putnam, Israel". Encyclopedia Americana. 1920. "Putnam, Israel". Collier's New Encyclopedia. 1921. Wikimedia Commons has media related to Israel Putnam.